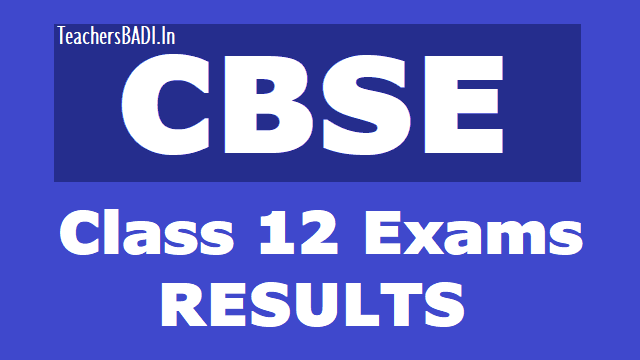 CBSE Class XII Result 2019 Date Announced, CBSE Class 12th Result 2019 in May last week cbseresults.nic.in, CBSE 10th Class Result 2019 Date, CBSE 12th Result 2019 on cbse.nic.in. Central Board of Secondary Education, CBSE would release the CBSE 12th Result 2019 on cbseresults.nic.in. As per the confirmation received from ANI, the results for CBSE Class 12 would release in May last week. The time for the release of CBSE XII Results 2019, however, has not been shared as yet. The board is expected to release the official confirmation of the same by 8 pm tonight on cbse.nic.in. CBSE Result 2019: Class 12th Results 2019 will be declared in 3rd week of May: On April 4, 2019, the Central Board of Secondary Education (CBSE) dispelled rumours circulating on social media that CBSE board exam results 2019 will be released in April. A circular apparently signed by the controller of examinations of the board was doing rounds on social media. "The circular is fake and the official, whose signatures are there on the circular, no longer holds the post. The results will be declared in the third week of May," a CBSE official said. The Board is also planning to introduce 'experiential learning' for the upcoming academic session. "Experiential learning" will be the punch line for the CBSE in the academic session of 2019-20, the board said Thursday. CBSE secretary Anurag Tripathi said from now on every year, the board will have a punch line. "Students should learn from what they study and use it. It should not be rote learning for them, which they only learn for exams and then forget," he added. The CBSE will also thrust on academic improvement and soon will be unveiling a policy for it, he said. The results can be accessed on these official websites: results.nic.in, cbseresults.nic.in and cbse.nic.in. The students have to keep their roll numbers handy to view their scores. There are chances that the server will be down for a while, in which case students should be patient and check again after some time has passed. Step 1: Go to the official website cbseresults.nic.in. Students can also go to the website through cbse.nic.in. The link would be activated tomorrow. Step 2: On the official website cbseresults.nic.in, the link for Class XII Result 2019 would be activated. Please note, the time has not been confirmed as yet. Step 3: On the new window that opens, simply enter the roll number and any other information asked. Last year, CBSE had asked students to enter their school code. After entering the information, press submit. Step 4: CBSE 12 Result 2019 would be displayed on the screen. Students may keep a copy of the same for reference. However, please note, the board would issue the mark sheets at a later date and a saved copy of online results is not permissible. CBSE Results for CBSE Class 12th release in May last week. Students can also check their results through Google and Microsoft Organizer this year. Times now wishes all students best of luck. This year, students will also be able to check their results on Google. “CBSE has partnered with Google for the first time to host the board’s Class 10 and Class 12 results on the search engine,”. Students will be able to check their results on Google by searching for CBSE Class 12 result. They will have to key in the required details to login and check their results.